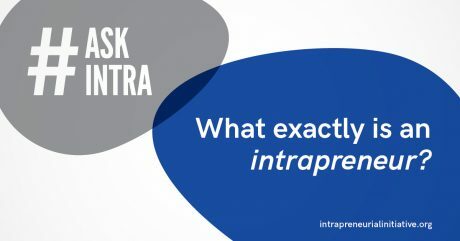 What exactly is an Intrapreneur? An Intrapreneur is basically an entrepreneur within an existing organization. Intrapreneurship involves individuals or groups of individuals exploring high-risk, high-reward ideas within the safety and support of a larger, well-established structure and tapping into resources to help make their project possible. Intrapreneurship is the process of creating value through leveraging the resources and support system within an existing, successful organization. The vast majority of entrepreneurial ventures fail within the first years of existence while they attempt to build from the ground up. On the other hand, as we have witnessed first-hand successful new divisions, ancillary services and valuable subsidiaries frequently sprout from the core business of existing, successful enterprises. These ventures are fruitful because they are reinforced and supported internally, as well as provided with the resources they need to be successful – THAT is Intrapreneurship. Nice post. Iwas checking constantly this blog and I amm impressed! loong time. Thanks and good luck.